Holy Week Services – Good Friday 19th April at 8.00pm in Holy Trinity Church. Decorating Holy Trinity Church for Easter – Saturday 20th April from 10.30am-11.30am, please come along and help out if you can. Templebreedy Church Choir – every Monday at 7.30pm in Holy Trinity Church during school term. New members are always welcome, no audition required!!! Contact Roger Ellis, Organist & Choirmaster 087 053 9416. Please note no choir practice on Easter Monday night. CDYC – 20th-21st April: Sun-Up, Rosscarbery. 27th April: Annual Table Quiz, Carrigaline (12yrs+). Blood Donation Clinic – Tuesday & Wednesday 23rd & 24th April from 5.00pm-8.30pm in Carrigaline GAA Hall. Parish Notelet/Greeting Cards for Sale – We have designed Notelet/Greeting Cards from pictures taken at our Flower Festival last year. They come in a pack of 8 cards at the price of €5. You can purchase these at the back of the Church or from the Parish office. Church of Ireland Bishops’ Appeal – Supports Response to Cyclone Idai – The Church of Ireland Bishops’ Appeal is releasing €10,000 in emergency funds to support relief efforts in Mozambique, Malawi and Zimbabwe in the wake of Cyclone Idai. Further funds will be added in the coming weeks and Bishops’ Appeal welcomes support from parishes and individuals who wish to contribute. €14 could help towards providing much needed clean water / €25 could provide a blanket and clothing to help keep someone warm / €58 could provide a month’s food for a family of five. Donations can be made online at https://store.ireland.anglican.org/donations and further details for giving by post, by bank lodgement, or through parish donations are available at www.bishopsappeal.ireland.anglican.org/give. #Pennies4Plastics – Throughout Lent 2019, the Church of Ireland Bishops’ Appeal, Eco-Congregation Ireland and the Representative Church Body (RCB) will be inviting individuals, families, parishes and schools, to prayerfully reduce their use of plastic. #Pennies4Plastics will raises vital funds for Waste Aid which supports recycling in the Gambia, where many communities have no formal waste management system. A resource, full to the brim with everything you need to reduce plastic waste and help others to do the same, is now available (at www.bishopsappeal.ireland.anglican.org/pennies4plastics). Donations can be made online (at https://store.ireland.anglican.org/donations), Funds donated as part of #Pennies4Plastics will be match-funded by Bishops’ Appeal and the RCB. Nohoval Easter Vestry Meeting – Wednesday 1st May at 8.00pm in the Upper Room, Nohoval Church. Mums/Carers & Tots – Next on Friday 3rd May, 10am – 12noon in The Rectory during school term. 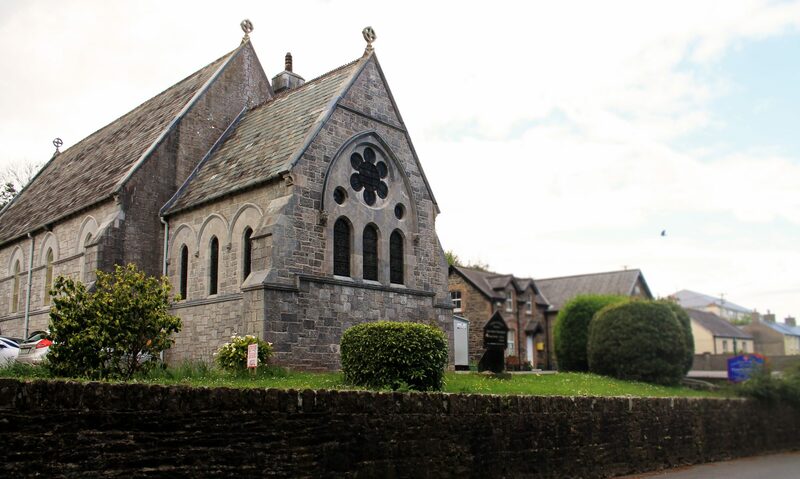 Confirmation 2019 – Preparation Class in Holy Trinity Church on Saturday 4th May at 5.00pm followed by Rehearsal at 6.00-6.30pm, parents welcome to the Rehearsal. Confirmation – Sunday 5th May at 11.30am in Holy Trinity Church. Friendship Club – First Tuesday of every month from 10.00am – 12.00pm in the Active Retirement Centre, Crosshaven. Next on Tuesday 7th May, details to follow. Bandon Grammar School Open Afternoon Visits – 7th, 9th and 15th May commencing at 2.00pm for parents and children (fifth class or younger) who might like to consider Bandon Grammar School in the future. Contact: 023-8841713 or email marion@bgsmail.ie. CDYC – upcoming events – 19th-21st June: Glamping outside Midleton. June & July: Holiday Club Preparation mornings. July 22nd – 26th: Summer Holiday Club. This year’s theme is “The Adventure Cruise”. September: CDYC will be running their accredited Leaders in Training Course in QQI level 4. This is for anyone in 4th year up or for anyone interested or already involved in youth work. Spaces are limited for this course. Children’s Choir – has finished up for the summer and will return in September. Table Tennis – has finished up for the summer and will return in September. St. Luke’s Charity, Cork – Free Community Dementia Services – Daycare / Respite Care / Long Term Care – Contact: Clinical Nurse Manager & Specialist Dementia Advisor Ms. Eileen O’Keeffe at St Luke’s Home on 021 4359444 / 086 1961529 or email on eileen.okeeffe@stlukeshome.ie. The Church of Ireland Gazette – In print and online at https://gazette.ireland.anglican.org/. Come Dine for Holy Trinity -Templebreedy presents “Come Dine for Holy Trinity”, fundraising for Holy Trinity Church, Crosshaven. Hold a lunch/dinner party for a few friends, your family or your neighbours, with each guest donating €20, it is a fun way of supporting a worthy cause. Further information: see posters and from the parish office. Ongoing Metal Collection – A reminder that we are still collecting scrap metal for fundraising. Contact: Alec Bryan, Gordon Bryan or Graham Roberts for Crosshaven or Jim Ferguson for Nohoval.